By Alison Gillwald (PhD) Executive director, Research ICT Africa, and Adjunct Professor University of Cape Town. 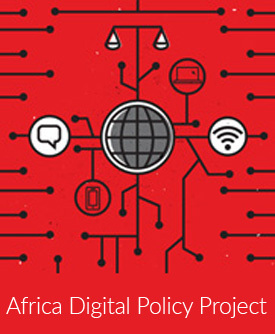 Research ICT Africa is an African public–interest ICT research ICT policy and regulatory network that has provided technical assistance to African countries, multilateral agencies and development banks for over a decade. It is the only organization collecting comprehensive supply-side and demand-side data that is available in the public domain with national representative surveys underway in many of the African countries represented (and I should add by our Latin American partner network DIRSI and Asian partner network LIRNEasia). Based on this research I would like to comment on what we see as the central policy challenge as we move from voice into data services and Over the Top platforms, Internet of Things and Artificial Intelligence – that is, that as we increase ICT access and use so digital inequality is amplified. Connectivity alone does not reduce information inequality. Even where we have over 90% mobile coverage and even 50% of smart devices, in many countries we cannot rise above 10% or 20% to reach the critical mass required to enjoy networks effects associated with economic growth. To get Africa connected will require doing things differently from what we are doing now. We need to explore alternative policy and regulatory interventions that do not assume mature, competitive, effectively regulated markets operating within guaranteed human rights frameworks – though of course we may continue to aspire to these.